When you have a business, your most important concerns are to keep your belongings and employees safe. If you didn’t rekey when you moved in and still haven’t, it’s time to consider it. Though it might not seem important now, there’s many reasons why you should consider changing the business locks in your commercial space. If you had an employee leave, especially if they had keys, it would be a good consideration to get your business locks rekeyed. You have no way of knowing if an employee made a copy of the key while they were still in possession of it. They can now easily gain entrance even if they no longer have a copy of the original key. The last thing you want is for a disgruntled employee to break in and steal your precious properly. If an employee leaves, whether they are management or an hourly employee and at one time had access to the keys, change your business locks. It’s better to be safe than sorry. If you’ve hired contract workers that did work in your office building during non-business periods, you may have had to provide the workers with a key to get in. When the work is done, make sure you collect all the keys. Even after you make sure all the keys are collected, you still might want to consider changing the business locks. You don’t know if they may have had time to copy the key. Losing a key happens to almost everyone at some point and time. If one of you or one of your employees loses his or her key, you should immediately call a locksmith and change your business locks. In the meantime, add some additional security until the locks are changing. You don’t know whose hands that the keys could be in before the locks get changed. If someone, somehow gains access to your building through forced entry, they may have taken a set of keys as they left so that they could enter in easily again. The first thing that you should do is change your business locks. You can also upgrade to a new security system. It can be beneficial to change the business locks routinely – at least once a year. Change the date that you change the locks on so that no potential burglar has a way to capitalize on the pattern. You put a lot of time and effort into your business. You want to make sure that it’s as safe as possible. 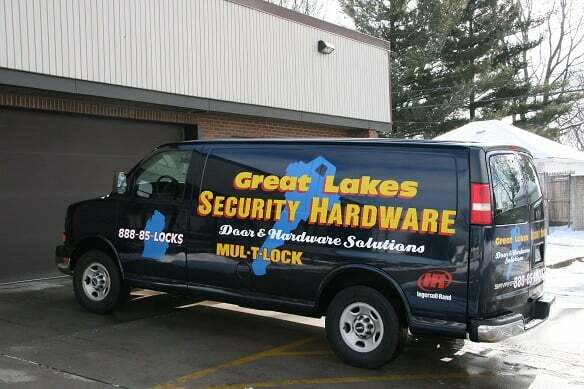 Contact Great Lakes Security Hardware to change your business locks. The overall construction of a residential door is incapable of standing up to the demands of a commercial setting, and it will affect the door’s usability and overall integrity. After you buy your new house, get new locks. You never know how many copies of the keys the previous owners made and handed out. Call a locksmith as soon as you can for maximum security. The work of a locksmith is to break into homes, safe deposit boxes, duplicate keys, advise a potential customer about new technology for protecting homes and repairing locks on the doors. Since it’s invention in 1835 by inventors Charles Jeremiah Chubb, the safe has become the stalwart of security for small and large businesses alike. The safe in a business protects precious property from the ruses of burglars. Though many monetary transactions are done electronically, many businesses still keep jewelry and large amounts of cash in safes. 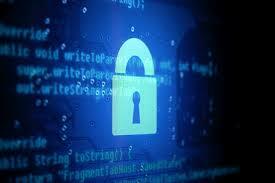 People may also keep valuable documentation in their home or business safe. Over time, technology of safes has made it so they are much less difficult to heist than ever before. Burglar-resistant – These types of safes are rated by the type of tools in the attack and the time of the attack. Attack increments are in 15 min., 30 min. and 60 min. Many of these safes have more complex locking systems than just a key lock, such as an electronic lock or a combination lock. Some more sophisticated ones might even have biometric locks. Fire-resistant – A good majority of safes are now fire resistant. These are the best safes to use for protection of precious documents. Fire burns at approximately 1300 degrees F and a document will burn completely at approximately 451 degrees F. Fire resistant safes are rated by the time they can withstand the temperature of a fire: times range from 30 minutes to 120 minutes. The temperate inside the safe does not reach more than 351 degrees F.
Environmental resistant – Safes that provide environmental resistance are waterproof. It’s a good idea to put original documents or cash in such a safe. These safes can be submerged in water and nothing will happen to the things inside. Diversion safe – A diversion safe is one that is made to look like a regular, everyday object such as a book. This is to trick anyone that might come to heist the safe. This is a great idea for a residential or small office safe. 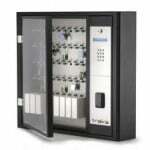 Wall Safes – Wall safes are usually to protect precious valuables like jewelry. These are often kept behind paintings to keep burglars from heisting the safe. At Great Lakes Security Hardware, we have a safe to fit every need. We make sure that no one gets to your valuables but you! A professionally trained locksmith may do some or all of the following: install locks, deadbolts and other mechanical or electronic locking devices to safeguard homes, businesses, vehicles and other property. 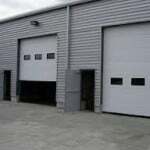 Commercial doors are used in commercial buildings such as office buildings, retail shops and stores, restaurants, hotels and in schools. 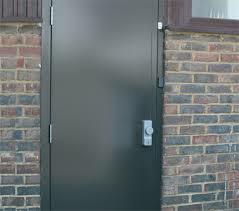 In addition to making a building secure, doors also serve aesthetic purposes. 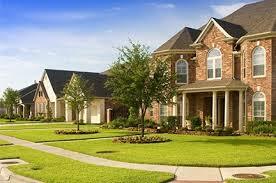 We have over 30 years of service and repair experience. Our facility is fitted with a machine shop, an extensive inventory and a fleet of service vehicles.